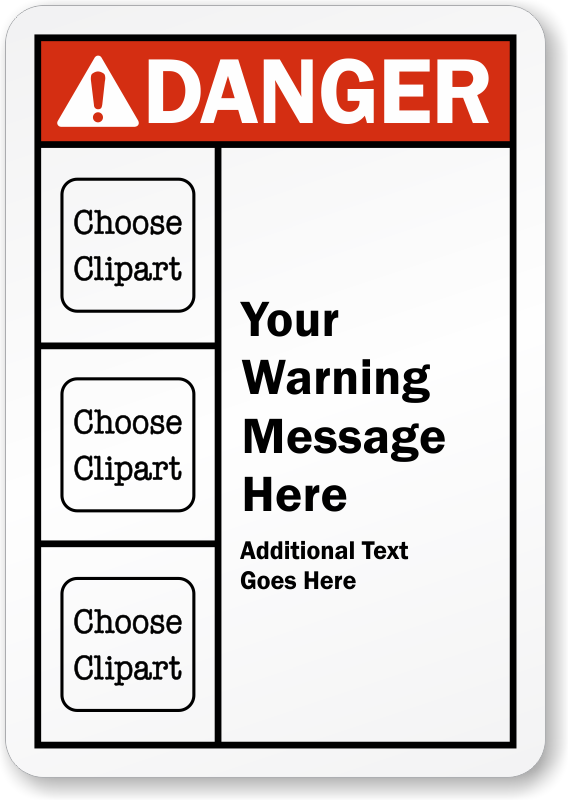 Looking for a specific ANSI Danger Label? 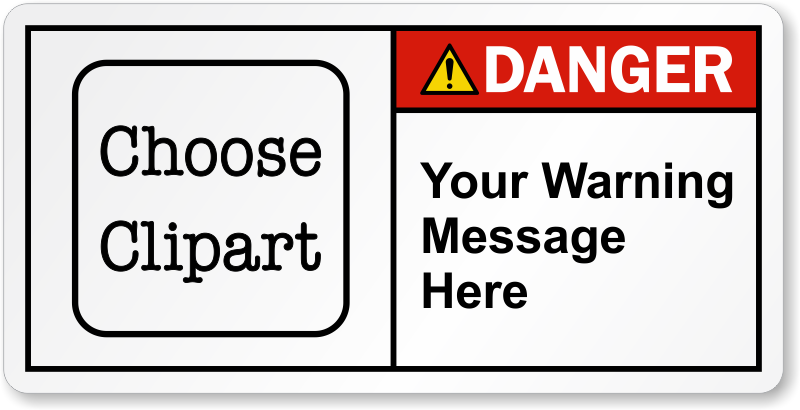 Welcome to our world of customization. 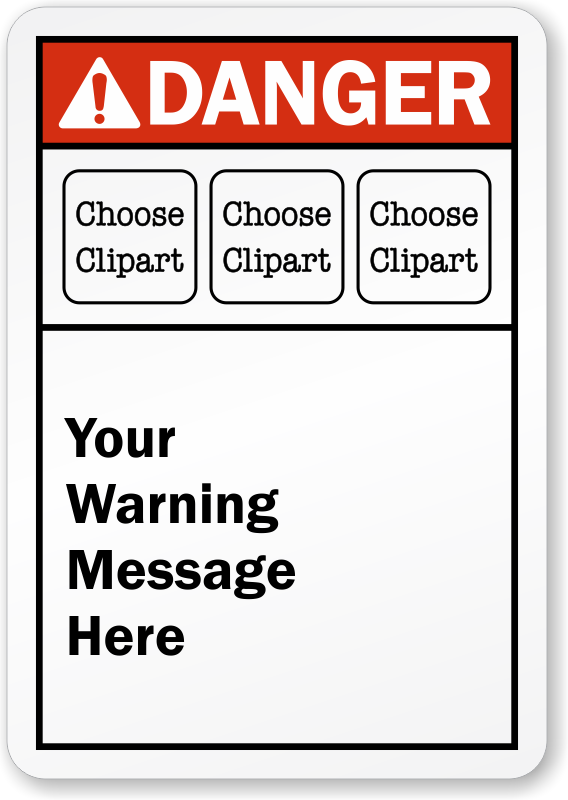 Make your own custom ANSI Danger labels at no extra cost. 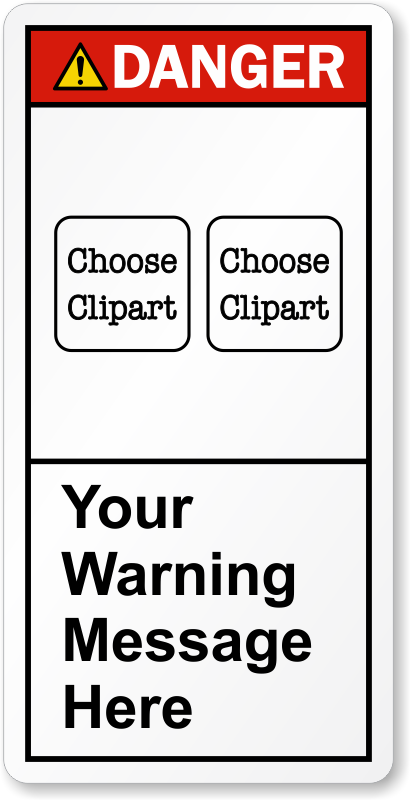 Mouse over the designs below to see the material and size choices for each label. 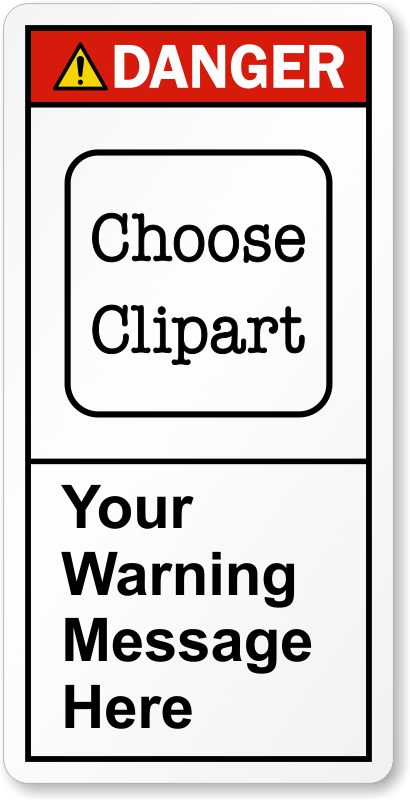 • Choose a clipart from our gallery. 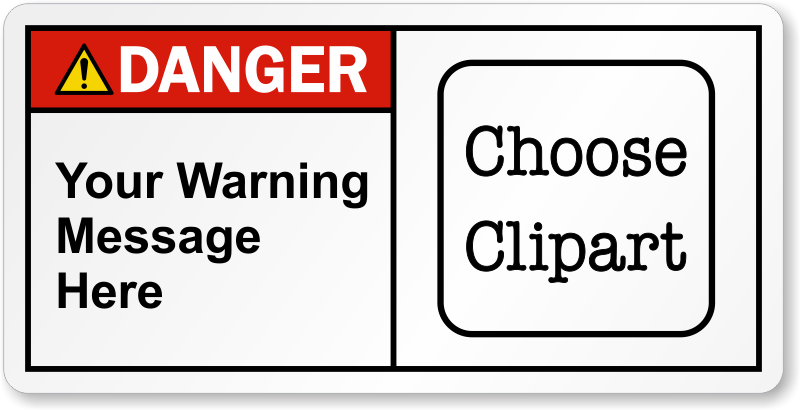 We have the widest range of clipart and industry-specific symbols to choose from. 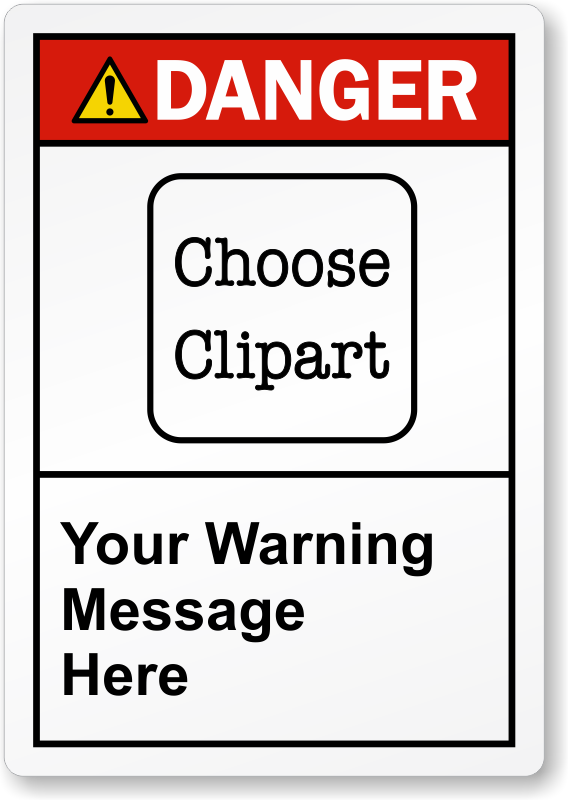 • Our customization tool lets you add a suitable header and text in a well-organized manner. 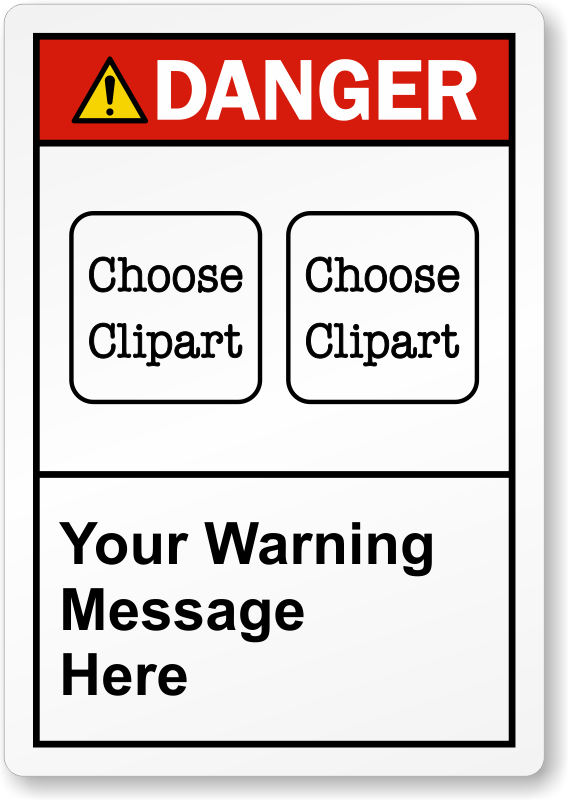 • You can also adjust the font and design while seeing the preview of your label - you don’t have to be a graphic designer for that!